MainAll NewsInside IsraelWho is buying up church lands in Jaffa? Who is buying up church lands in Jaffa? Documents show church property in Jaffa sold for fraction of true value to a 'fictitious foreign company'. 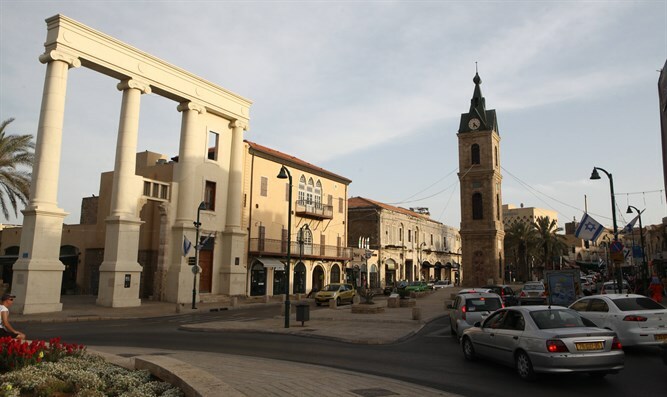 A prominent and highly valuable piece of real estate in the heart of old Jaffa has been quietly sold off – for a fraction of its real market value and to mysterious foreign company. An Eastern Orthodox Christian charitable organization claims it has been provided with documents showing that senior church officials sold off a sizable – and highly valuable – piece of real estate near the Jaffa Clock Tower Square. Citing “documents and facts which we have no doubts regarding the veracity of” the organization insists the sale is not merely a lease or rental of the property, but a full and complete transfer of all rights and ownership. The group also noted that the property, which encompasses 6.5 dunams (70,000 square feet) is worth some 200 million shekels ($51.5 million), yet was sold for a mere $1.5 million. In a statement released by the organization it was also claimed that the purchaser is a “fictitious foreign company”, raising even more questions about the nature of the sale. Leaders of the local Arab community have in the past complained of what they call a “new Judaization settlement plan” to increase to the Jewish presence in the ancient city. They have suggested that Jewish organizations have purchased significant property in the city using companies as fronts for the acquisitions. There have also, however, been several instances in the past of Islamic organizations buying up land, funded by gulf states such as Qatar and Saudi Arabia.